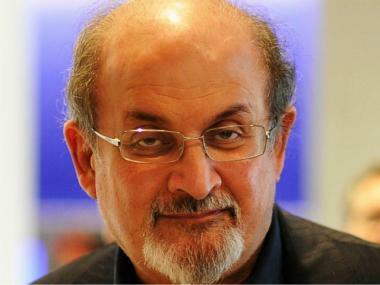 Author Salman Rushdie wrote a letter to the Cooper Union asking the school to reduce the St. Mark's Bookshop's rent. MANHATTAN — A letter from famed author Salman Rushdie was among tens of thousands of signed petitions delivered to the Cooper Union Tuesday by supporters of the beleaguered St. Mark’s Bookshop, advocates said. Members of the Cooper Square Committee, who have been advocating for a rent reduction to save the nearly 35-year-old store, handed over the names of more than 43,000 people who signed an online petition supporting requests that the school drop the bookseller’s monthly rent to stave off closure. Included among the petitioners is the Booker Prize-winning Rushdie, who wrote a letter to new Cooper Union president Jamshed Bharucha asking him to not to “destroy one of the city’s last, great independent stores for the sake of what to you would be a paltry increase in income,” his note read. The St. Mark's Bookshop, on Third Avenue and Stuyvesant Street. “Like many admirers of the Cooper Union I have been very disturbed by the thought that you may force the St. Mark’s Bookshop to close by imposing rents on them which they cannot pay,” the author’s note stated. Rushdie echoed the call for the college to trim the shop’s monthly rent from $20,000 to $15,000 “until the economy improves,” joining other high-profile backers of the bookstore like documentary filmmaker Michael Moore. Cooper Square Committee president Joyce Ravitz, who joined supporters last week to plead their case to Bhraucha in song at his inauguration, began the online petition early last month and had garnered more than 24,000 signatures in just over a week. “We got some very, very moving letters,” explained Ravitz, who said she delivered the petitions —including letters from literary figures like novelist Patrick McGrath and cartoonists Art Spiegelman and Ben Katchor — directly to Bharucha Tuesday. "He told us he felt they (the school) were a nonprofit and the bookstore was a for-profit, and they had a big [budget] deficient," she said of the meeting with Bhraucha, adding that no decision was discussed. "We pointed out that bookstore was for-profit, but provided education materials for his students. We listened to each other, it was cordial." 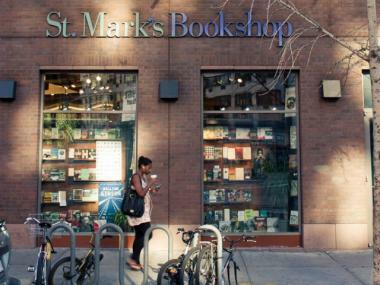 St. Mark's Bookstore's owners are planning to meet with Cooper Union officials again Tuesday to discuss the ongoing negotiation, co-owner Bob Contant noted.